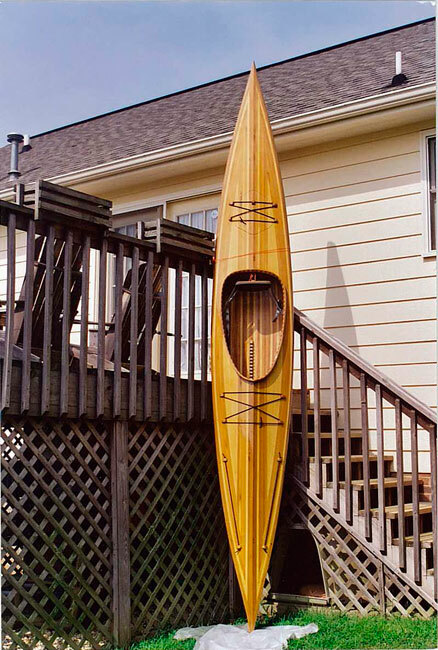 John Rhyne launched this Great Auk design kayak on August 31, 2003 near his home in Tennessee. 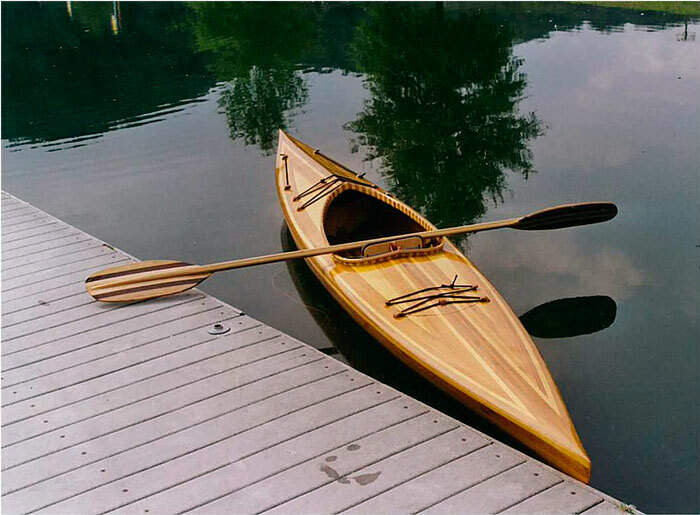 The design is from Nick Schade's book, "The Strip-Built Sea Kayak." 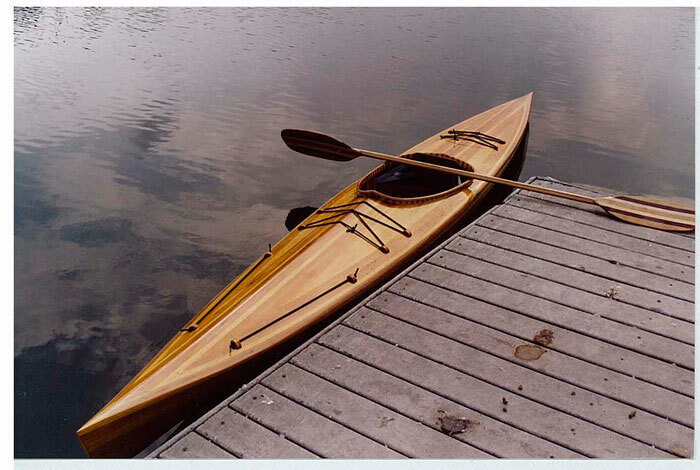 John used pine and Western red cedar in the construction. Write John at 104 Country Walk Dr., Powell, TN 37849 or email him at rhynej@k12tn.net.